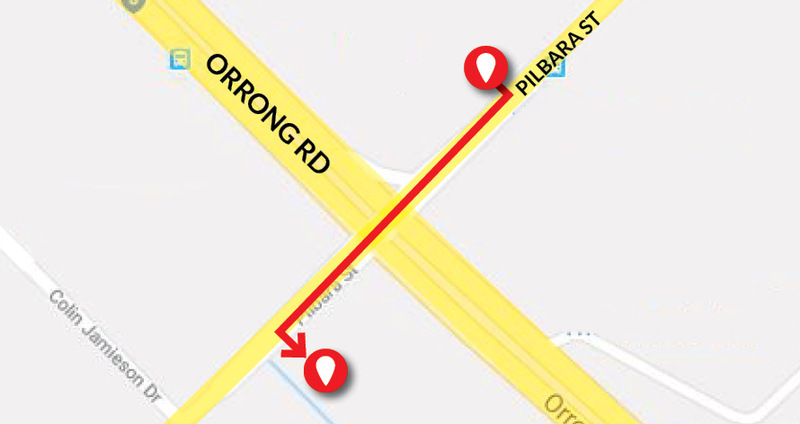 The Skipper Transport Parts Trade Counter in Welshpool is moving from 80 Pilbara Street to 13-39 Pilbara Street. From Monday 15th April all parts pickups and trade enquiries are to be made at the new location. Trading hours remain 8am-5pm Monday-Friday. Call 13 72 80 for more information. 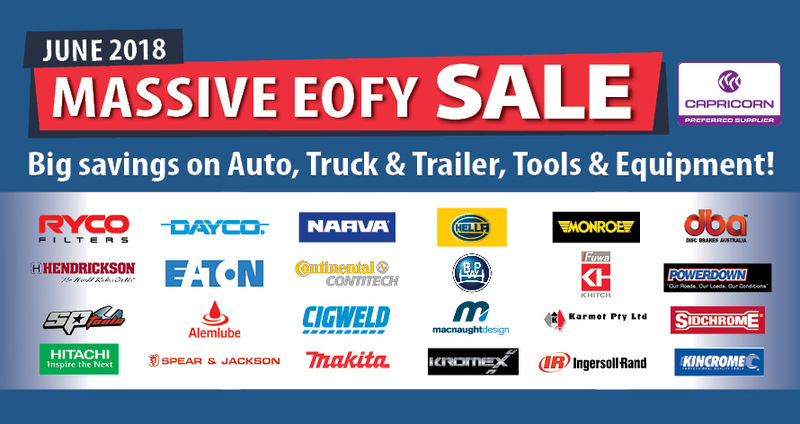 June EOFY SALE on now at Skipper Transports Parts! 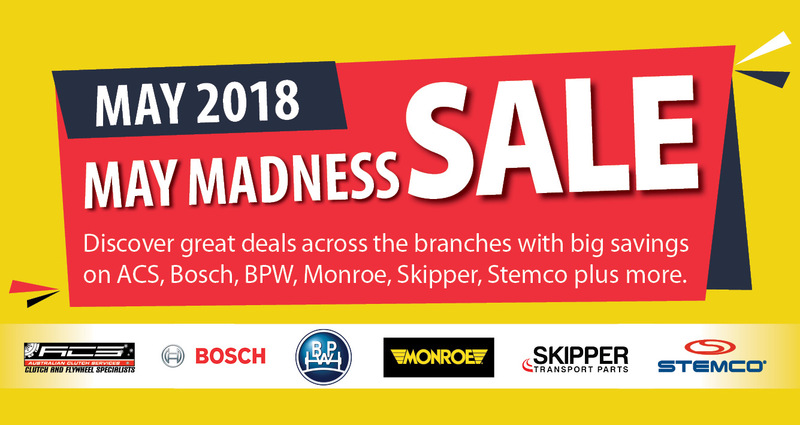 Skipper April 2018 Mid-season Sale is now on! 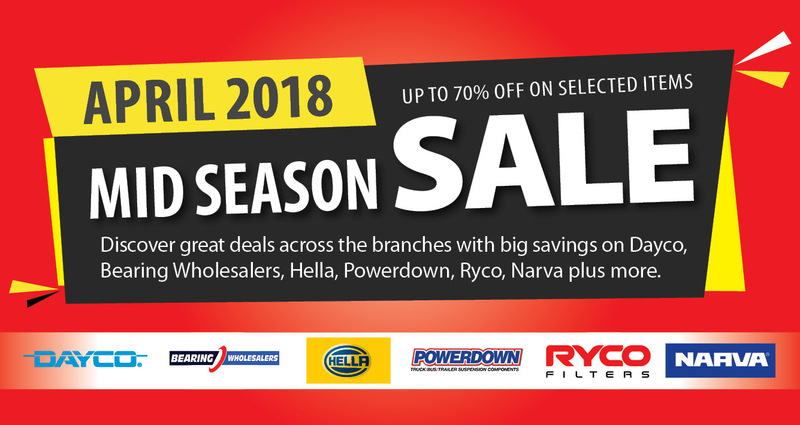 Visit your nearest branch or call us on 13 72 80 to discover great deals on Dayco, Bearing Wholesalers, Hella, Powerdown, Ryco, Narva plus more. 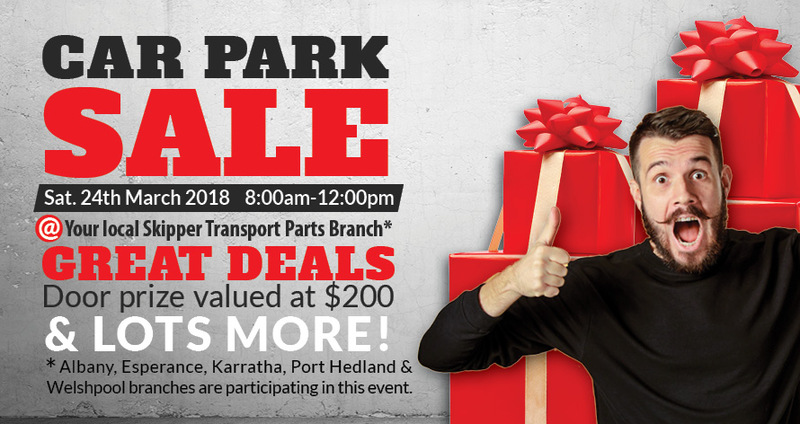 Car Park Sale is on this Saturday, 24th March! 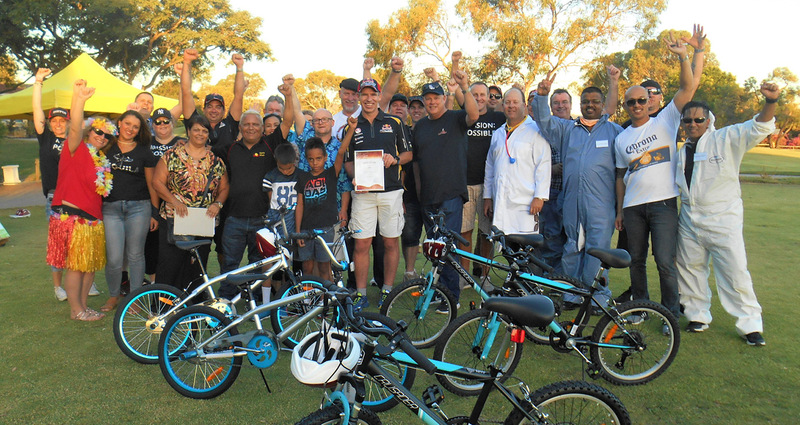 Visit your local Skipper Transport Parts branch for great deals, door prizes & lots more. Phone 13 72 80 for more details. 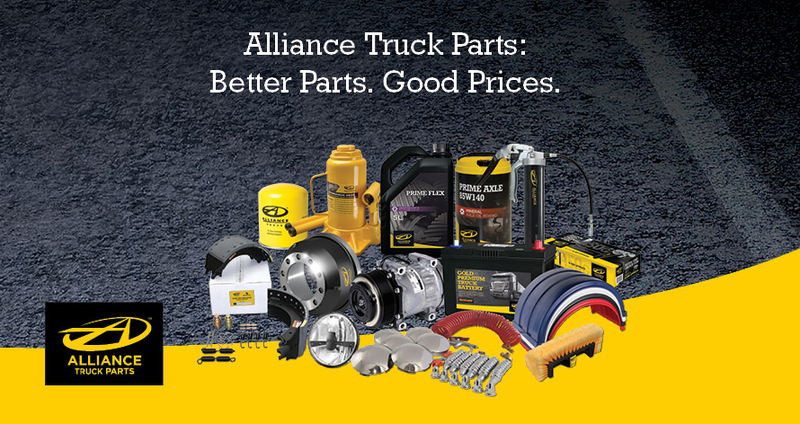 We are pleased to announce that Alliance Truck Parts are now available from Skipper Transport Parts in Melbourne & Perth. 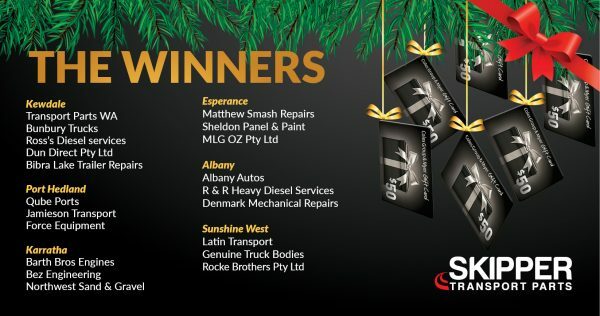 Congratulations to the 20 lucky winners who each won a $50 Coles & Myer gift card in the Skipper Transport Parts 2017 Christmas Promotion. Stay tuned for more fantastic offers to come! 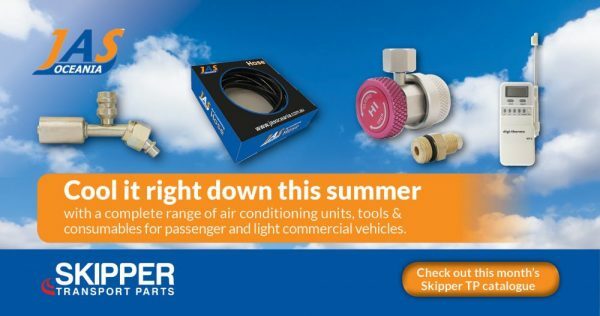 Skipper Transport Parts carries a comprehensive range of JAS Air-Conditioning components as well as Starter Motors, Alternators, Rotating electrical components and Electrical Accessories. Check out the latest catalogue for specials. 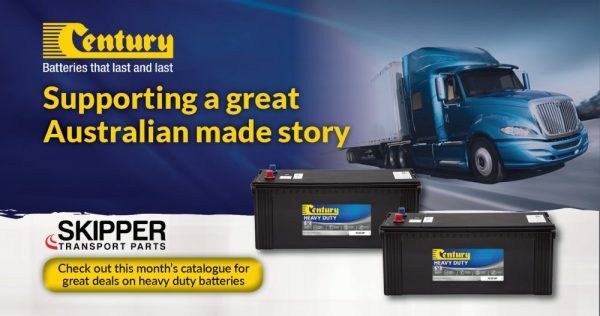 Skipper Transport Parts is proud to support Century Batteries, Australia’s oldest and most recognised battery manufacturer. Check out the latest catalogue for great deals on heavy duty batteries.